Whether you're looking for the perfect wearable stone to imbue positive healing powers or just want a beautiful piece of jewellery, turquoise could be what you're looking for. 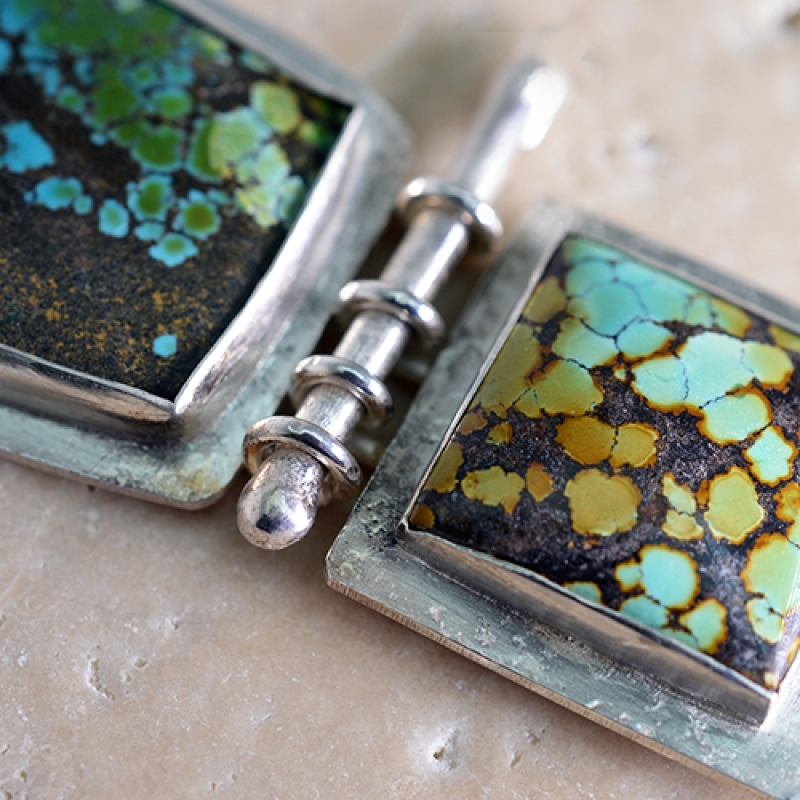 The rich tones of turquoise have been a magnet to me for years. Each piece glows with it's own unique characteristics and cries out to be featured in large beautiful jewellery. Who can resist its charms? But according to many following a more spiritual path turquoise doesn't stop at beauty alone. Some believe turquoise to be a purification stone, dispelling negative energy and it can even be worn to protect against outdoor pollutants. Even better, turquoise is said to balance and align the chakras, stabilize mood swings and instil inner calm. Who couldn't use a little of that? Check out my online shop to see what turquoise pieces I have available today.